Here are three images of crowded city streets. 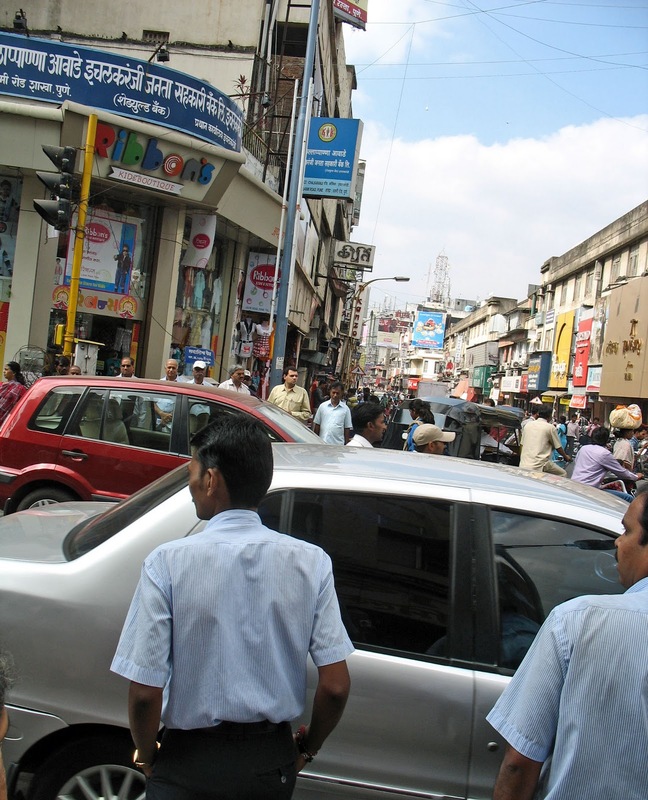 Many Indian cities tend to be crowded and Pune is one of them. The traffic chokes the streets, making it difficult to drive. Will be posting a few pictures of chaotic traffic in city streets by and by. In the first picture you can see that hand carts selling wares and people are clogging the roads. Vehicles of different types are on the road, jostling for space. Pavements are usually packed with vendors, forcing people to walk on the roads and making it more difficult for motorized vehicles. Laxmi Road is one of the most crowded roads in Pune. It has now been made one-way, but even then it is difficult to negotiate the traffic. 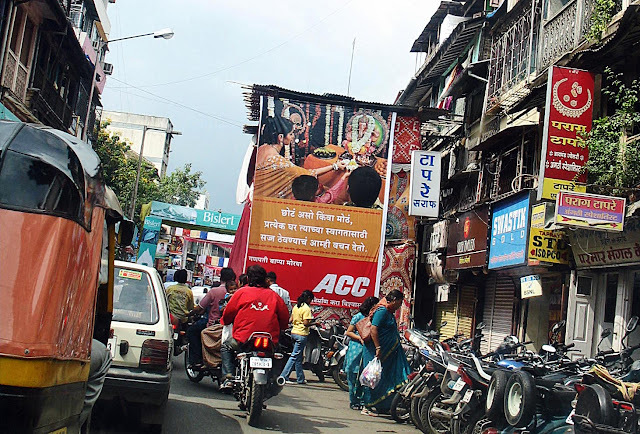 It's best you leave your car behind and take a rickshaw to this busy commercial street. 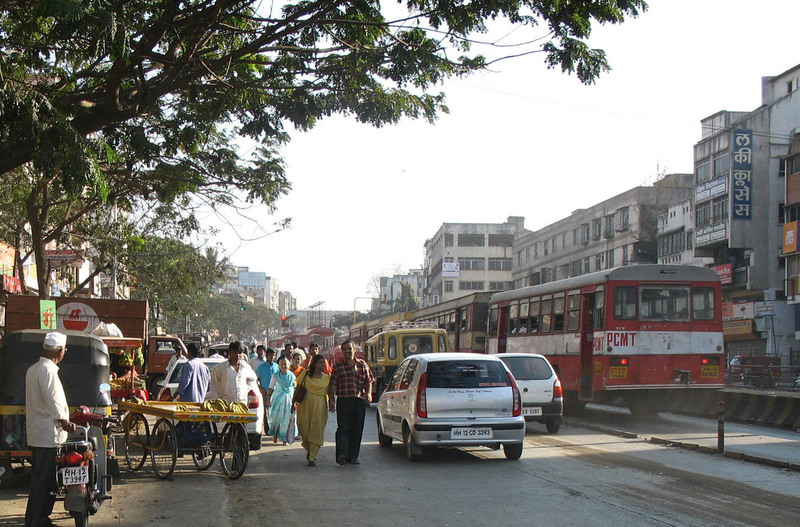 Here is one of the smaller crowded streets in Pune. Impromptu structures often come up on these small roads and leads to jams.